The end is nigh and ice cream makes us happy so why the hell not make a list of the ten best ice cream themed gifts you can give. Cone-shaped lip glosses will not do for the ice cream lover you love. Whether your budget is $4 or $400, there’s something on this list that will delight almost everyone. Give us ice cream (duh). You don’t have to worry about the gift melting before you can give to them. Because of course there are ice cream delivery services. 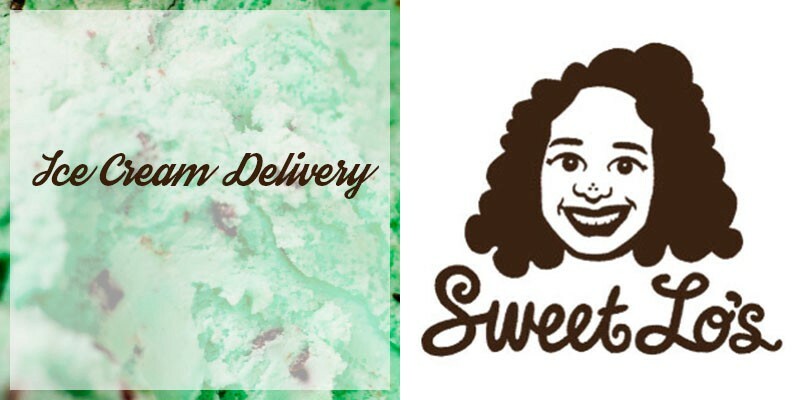 For a monthly fee, you send insulated packages of the good stuff straight to the ice cream lover’s doorstep. In Seattle, check out Sweet Lo’s Ice Cream Club. Sweet Lo’s is a marvelous small batch creamery and one of the best Seattle has to offer. The club deal is 3 flavors a month for 2 months. $50. If you’re sending to someone outside of Seattle, check out Ice Cream Source’s Pint Club. They offer several tiers from a variety of brands. Options start at $136. 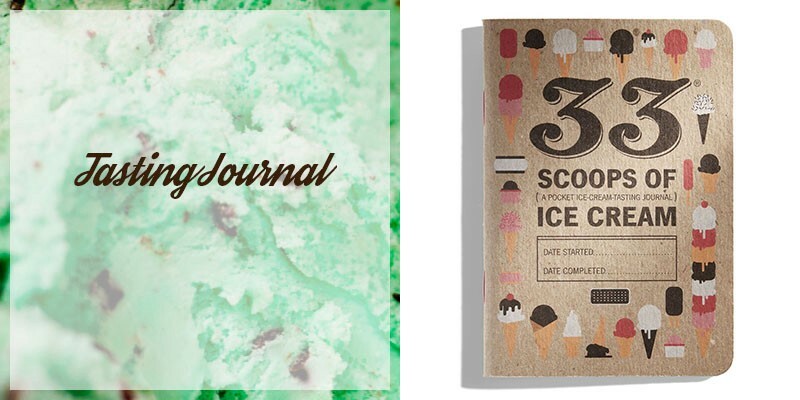 What I wouldn’t have given for this Ice Cream Tasting Journal over the summer! 33Books’ slim little booklet has preprinted pages to help track the same information for all the flavors tasted. I bought a copy last week; it’s very nicely made, portable, and ready to log my next 91 flavors. $5. Because bowls are for liars. 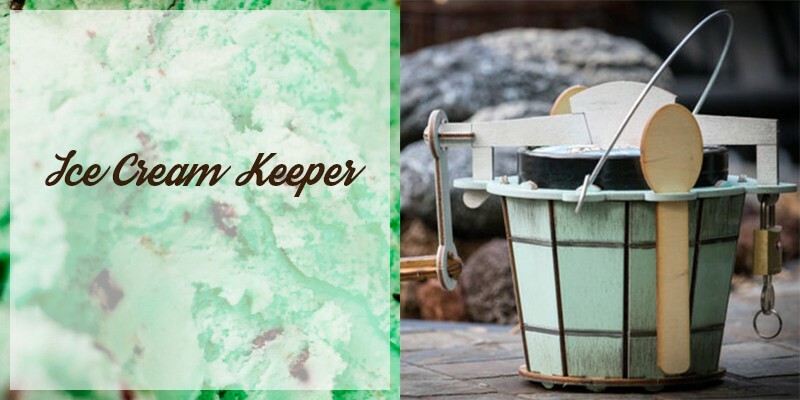 The Ice Cream Keeper is a kit for assembling your personal, pint-size holder. It’s made to look like a vintage hand-crank ice cream maker and even comes with a padlock. I’m certain the padlock is just for show, right? 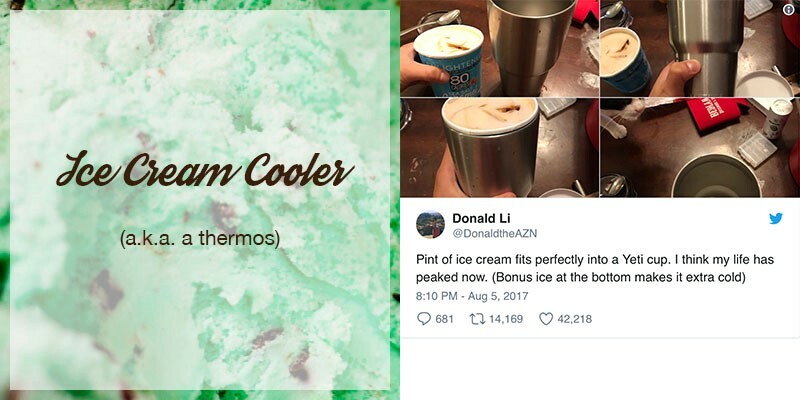 I mean, who leaves any ice cream in the pint? $10. 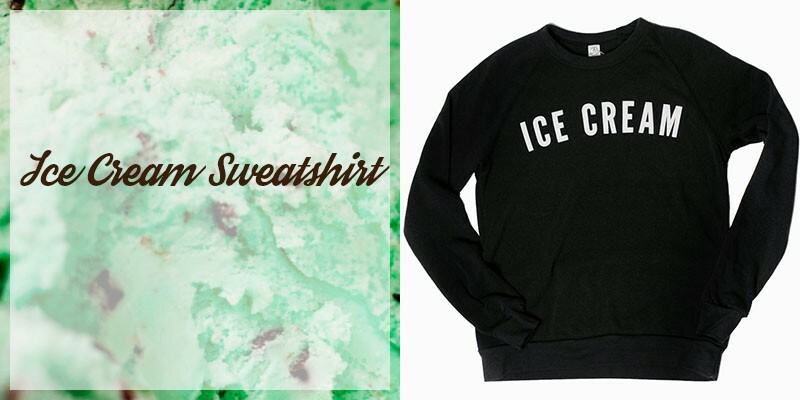 Ice Cream sweatshirt. Molly Moon’s taps into the Bluto fashion sense of stating the obvious with this plain sweatshirt. If it’s anything like the matching ball cap I have, it’s soft and sturdy and smells like vanilla. I’m normally pretty salty about $50 sweatshirts, but it’s a gift, so go for it. $50. Hot Cakes is a Seattle…molten lava cake restaurant. They know their gooey chocolate. I can vouch for the Hot Cakes Organic Chocolate Sauce. 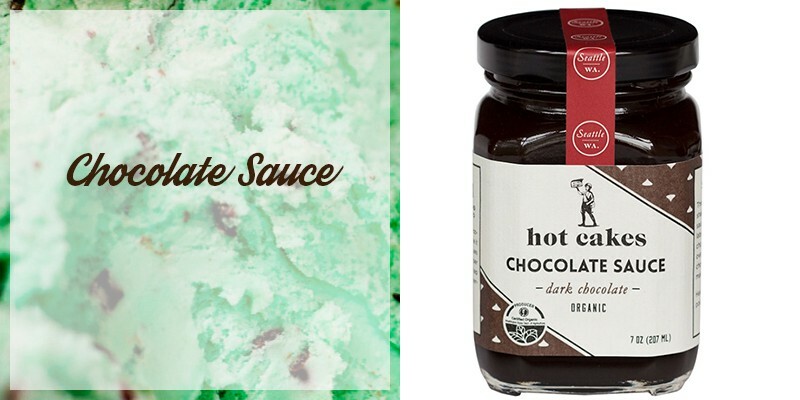 Give your ice cream fiend a jar of this creamy, decadent dark chocolate sauce and any scoop becomes gourmet delight. $12. 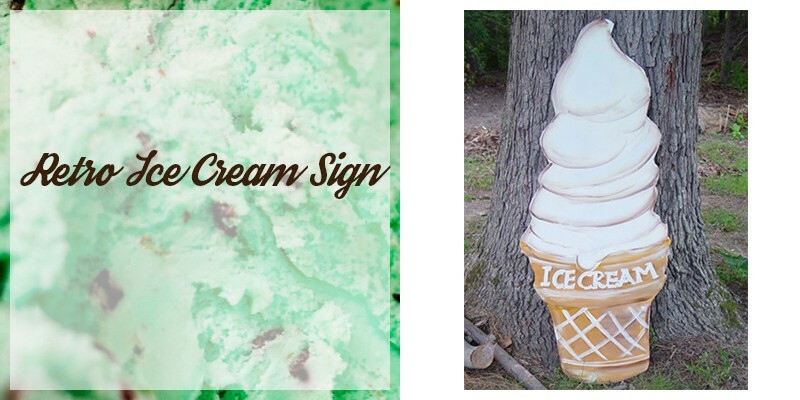 I love whoever decided to make a bunch of these wooden, vintage-style ice cream signs. Okay, her name is Lisa Harris and she runs a shop called Watermelon Stand over on Etsy. This retro sign can be whimsical decor item or party photo prop or great backdrop for little imaginations. $150. 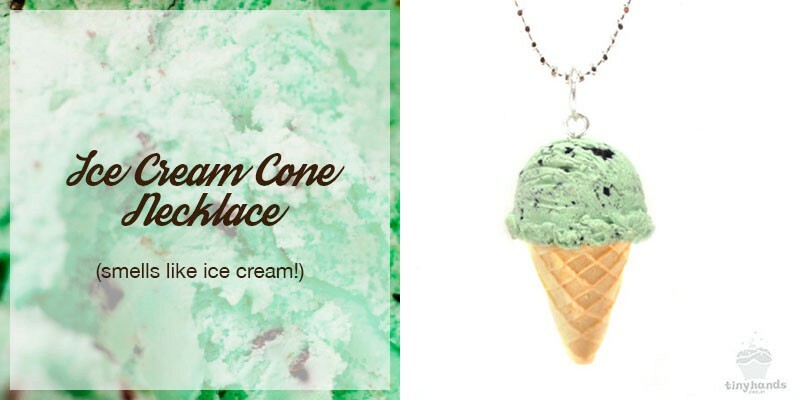 This Mint Chocolate Chip Scented Ice Cream Cone Necklace! I have no idea how she does it, but you really can’t go wrong with anything from the unbearably cute Tiny Hands shop. Most items are available as keychains, too, if your ice cream person doesn’t do jewelry. $28. 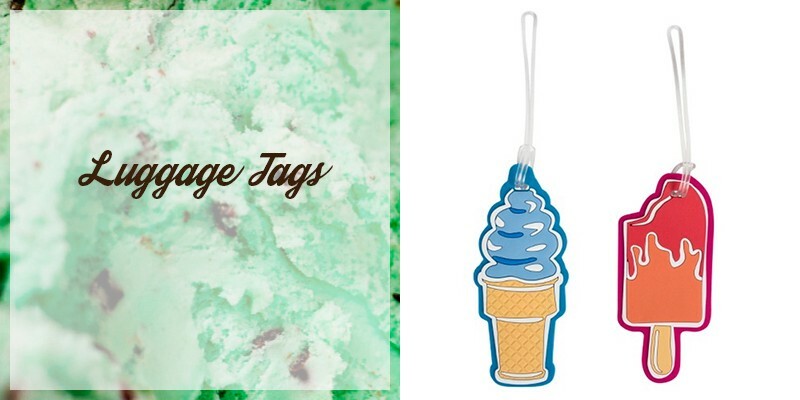 These luggage tags are perfect for the jet-setting ice cream aficionado. Or just to decorate a backpack. Whatever, these are funky. $10 for the set of 2. When I saw this at my local co-op, I LOL’d out loud. I mean, LOOK AT THEM. The cone and popsicle and truck are dancing. 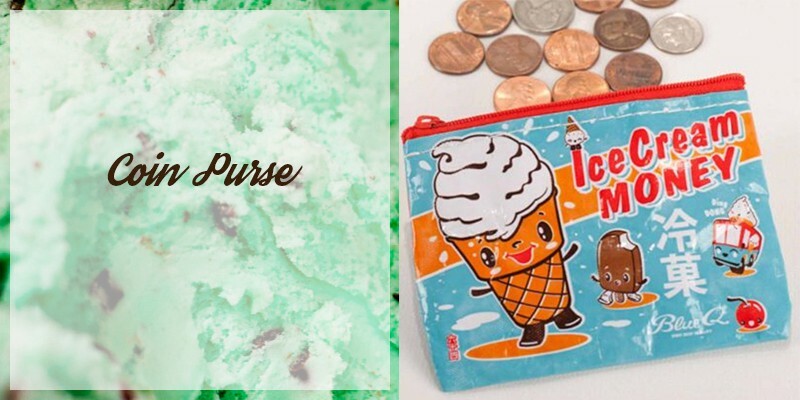 It’s a great place to stash your ice cream money. $4. Bonus idea! Holidays are rough for families that have a hard time putting enough food on the table. A charitable contribution to a food bank goes a long way—10 times further, in fact—than canned goods. 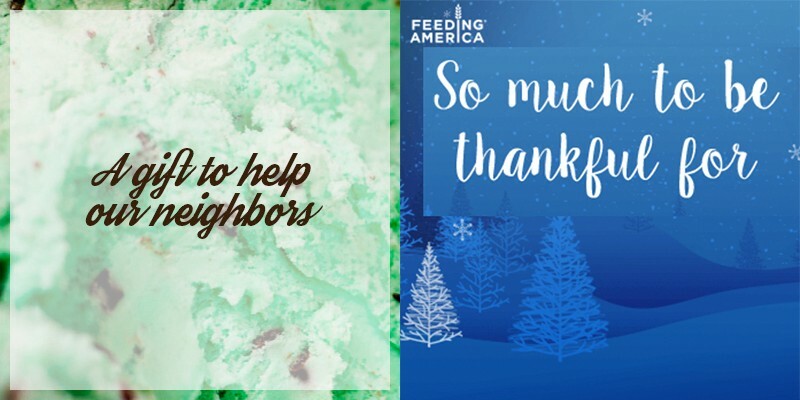 A gift in someone’s name to Feeding America or another food bank helps spread the love now and throughout the year. Posted in ice cream and tagged gift guide, gift ideas, ice cream.